Okay: Maybe That’s Not Your Only Question. What is Westminster-Canterbury on Chesapeake Bay? 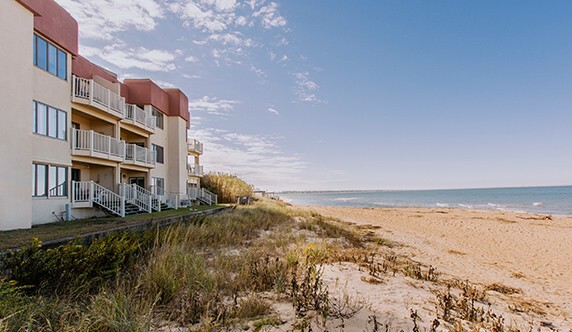 Westminster-Canterbury on Chesapeake Bay is a LifeCare retirement community sponsored by The Presbytery of Eastern Virginia, Presbyterian Church (USA) and the Episcopal Diocese of Southern Virginia. As a LifeCare retirement community, Westminster-Canterbury provides a full complement of residences and common areas, and a full continuum of health care including: assisted living, nursing care and specialized care for dementia with no increase in your basic monthly fee. Who owns and operates Westminster-Canterbury? The community is owned and operated by Westminster-Canterbury of Hampton Roads, Inc., a non-profit, non-stock corporation formed under Virginia laws. Fifteen acres of prime coastal land that was once a Girl Scout camp on the Chesapeake Bay became the site of the community in 1982. A volunteer Board of Trustees determines policy and articulates the vision and mission of Westminster-Canterbury. This group of individuals from the Hampton Roads area is made up of distinguished citizens, business executives and professionals. What is a LifeCare retirement community? Across the United States, residents, prospective residents and industry experts overwhelmingly agree that a LifeCare retirement community such as Westminster-Canterbury provides the greatest financial security, value and peace of mind for residents and their families. A LifeCare community offers accommodations at every level—independent living, assisted living and nursing care. The beauty of the concept is best illustrated when a resident requires assistance. As residents’ needs change, they are secure in the knowledge that high-quality supportive services and care are available on-site, when needed, in an attractive, professionally staffed environment, at no increase to the basic monthly fee. What kinds of fees do residents of Westminster-Canterbury pay? As with most non-profit retirement communities, the residents of Westminster-Canterbury pay a one-time Entrance Fee and a Monthly Service Fee upon moving to the community. The Entrance Fee assures residents use of the common areas and guaranteed services and programs of The Hoy Health Care Center, if needed. As a LifeCare community, a portion of both the Entrance Fee and the Monthly Service Fee is recognized as a prepaid health care benefit and may be deducted for tax purposes. The Entrance Fee varies depending on the type of residence and Entrance Fee option selected. Westminster-Canterbury offers residents a choice of several different Entrance Fee options – the Standard Option, the 50-month Declining Balance Option and both a 50% and a 90% Refundable Option. How do the refund options differ? The Standard Option prorates the refund to any resident leaving the community for any reason other than death within 48 months of occupancy. The Entrance Fee amortizes at 2% per month for each month of occupancy plus a 4% administrative charge. If death occurs within the first six months of residency, the estate would receive a refund less 2% for each month of residency. The 50-Month Declining Balance Option prorates the refund to any resident leaving the community for any reason including death within 48 months of occupancy. The Entrance Fee amortizes at 2% per month for each month of occupancy plus a 4% administrative charge. If death occurs within the first 48 months of residency, the estate would receive a refund less 2% for each month of residency. The 50% Refund Option prorates the refund to any resident leaving the community for any reason including death within 23 months of occupancy. The Entrance Fee amortizes at 2% per month of occupancy through the 23rd month plus a 4% administrative charge. The refund is never less than 50% of the original Entrance Fee paid. The Monthly Service Fee for the residents varies according to the size of the residence and whether it is a single or double occupancy. Is the Monthly Service Fee fixed, or is it subject to change? The Monthly Service Fees are reviewed annually by the Board of Trustees and management and may be adjusted based on the actual operating costs. Westminster-Canterbury will maintain its costs at the lowest feasible level consistent with sound financial practices. A 30-day written notice is provided to all residents in advance of any increase. What are the prominent features of the residences? Our spacious apartment homes feature large, airy floor plans to complement today’s active, independent retirement lifestyle. We offer a variety of floor plans ranging from studio suites to one- and two-bedroom residences, some with balconies, 1 to 2 1/2 baths and may include a den depending on the floor plan selected. The residences have been designed for comfort and distinctive living, and careful consideration has been given to specifications that provide maximum security, safety and accessibility. These features are not always noticeable in day-to-day living, but they provide the residents with the added dimensions of peace of mind. Emergency call system in bathrooms connected to the central system for 24-hour security and nursing assistance, fire and smoke detectors. What are the Villas at Westminster-Canterbury and how are they different? The Villas of Westminster-Canterbury are 2-bedroom, 2-bath condominium homes located directly next door to Westminster-Canterbury. They offer 1,350 square-feet of luxury living, with distinct features such as a sunken living room, gas fireplace and an airy dining room opening to an outdoor deck. Residents who choose our villas also enjoy the same abundant amenities of the Westminster-Canterbury community, including our LifeCare program. May I furnish and decorate my apartment? Yes, residents furnish and decorate their residences to reflect their own personal tastes. Any structural changes or additions beyond standard features must be approved by management and are the financial responsibility of the resident. We are delighted to work with you in making certain décor selections. Are any other services available at additional costs? Yes, other services and programs are available to residents. Services available at additional costs include, but are not limited to, additional meals and housekeeping, guest meals, personal laundry and dry cleaning, valet parking and private transportation, catering for special resident parties and other concierge-type services as are deemed appropriate by the management of the community. Request a brochure, or for an even quicker response just dial 800-753-2918 to get information over the phone or to schedule a visit. What kinds of amenities and common areas are available for residents? All of these common area spaces are focal points for recreation and fellowship, as they are easily accessible to residents of the Villas and the East and West Towers. Yes we do, for residents in independent living. We simply ask that all reasonable efforts be made to assure that resident pets adhere to decent and community-friendly behaviors at all times. There is a $1,000 pet fee. What health care services are covered in the monthly fee? Out-Patient Services: The community operates a Clinic on the premises where residents may be examined and treated as out-patients. * There is no obligation to use the Clinic. You are free to engage the services of a physician of your choice. Enhanced Services: The community also provides residents with limited assistance with their daily activities. The community will provide these services in residential areas designated for Assisted Living. Long Term Care: Westminster-Canterbury operates a licensed nursing facility that provides nursing care. If it is determined that you need such care, The Hoy Health Care Center will provide this care on a 24-hour basis through qualified, licensed or certified professionals. Dementia Care: Westminster-Canterbury provides care for those with Alzheimer’s Disease and other dementia-related disorders in the assisted living program and in nursing care. What other services are available for an additional charge? How are transfer decisions to health care made and by whom? Westminster-Canterbury agrees to transfer a resident to health care or another residence within the community only after consultations with the resident, personal physician and a member of the family or designated representative (to the extent practical) have taken place. Such a determination is based on the physical and mental health, and the safety of the resident. The decision to transfer a resident is made through consultation with the Medical Director, the Director of Nursing, the Administrator, the family and physician of the resident, unless an immediate transfer is ordered or required for the safety of the resident. In the event of such a transfer, would a resident be asked to give up his/her residence? Many of the stays in the Westminster-Canterbury Hoy Health Care Center are temporary. Policies regarding moves and transfers at Westminster-Canterbury are designed to enable residents to remain in their residences as long as it is in the best interest and safety of the resident and the community. Where do I go if I need hospital care? Depending on the preference expressed by the resident and/or the resident’s physician, there are two excellent hospitals nearby including Sentara Leigh Hospital and Sentara Virginia Beach General Hospital. What are Westminster-Canterbury’s privacy practices? Westminster-Canterbury, and our subsidiary Westminster-Canterbury at Home, follow the privacy guidelines established by the Health Insurance Portability and Accountability Act (HIPAA) in order to maintain the privacy of protected health information. Click here to view our notice of privacy practices. What kinds of spiritual enrichment are offered? Your spiritual well-being is very important to us. While we are committed to Christian values, we also recognize and acknowledge that spiritual enrichment is an individual choice, and we welcome residents of all faiths. We have an active chaplaincy program with a full-time chaplain and visiting pastors who offer worship services. Our chaplain also conducts Bible study programs with the help of volunteers. What if I have concerns over finances? Will I ever have to leave? No. Westminster-Canterbury on Chesapeake Bay has a very active and healthy Foundation whose primary purpose is to raise funds and provide Fellowship Assistance for qualified individuals. It was part of our original mission that residency be made available for all, and on occasion we provide assistance with entrance or monthly fees. No one will ever be asked to leave because of a financial concern. If you are interested in obtaining confidential information about our Fellowship Program, contact our Marketing Department at 800-349-1722 or 757-496-1785. Choose your residence, complete an application for residency, and provide a $1,000 Reservation Deposit. Your application will be reviewed without delay. After the review and approval of your application, you will need to provide a signed Residence and Service Agreement, and a 10% deposit (less a $1,000 credit for the deposit). In most cases, occupancy begins within 90 days after we receive the deposit. Click here to contact Westminster-Canterbury for additional steps that may be required. Is there a Resident’s Association? Yes. The Westminster-Canterbury on Chesapeake Bay Resident’s Association is an active and integral part of our community that is instrumental in planning and interacting with management on many facets of community life. In addition to a welcoming committee, other resident groups concentrate on health and wellness, food and meal plans, buildings and grounds, and finance. The Resident Council meets monthly, the Association meets semiannually, and new officers are elected every year. More questions? Call today at 800-753-2918 or contact us online. More questions? Call today at 877-558-4001 or contact us online.